This article is about the angelic language recorded in the journals of John Dee. For Dee's overall system of angel magic, see Enochian magic. For other examples of divine or angelic languages, see Divine language. Enochian is an occult or angelic language recorded in the private journals of John Dee and his colleague Edward Kelley in late 16th-century England. Kelley was a spirit medium who worked with Dee in his magical investigations. The men claimed that the language was revealed to them by the Enochian angels. The language is integral to the practice of Enochian magic. The syntax and grammar of the Enochian language are highly similar to the English language. The language found in Dee's and Kelley's journals encompasses a limited textual corpus, only some of it with English translations. Several linguists, notably Donald Laycock, have studied Enochian, and argue against any extraordinary features in the language. Dee's journals did not describe the language as "Enochian", instead preferring descriptors like "Angelical", the "Celestial Speech", the "Language of Angels", the "First Language of God-Christ", the "Holy Language" or "Adamical" because, according to Dee's Angels, it was used by Adam in Paradise to name all things. The term "Enochian" comes from Dee's assertion that the Biblical Patriarch Enoch had been the last human (before Dee and Kelley) to know the language. According to Tobias Churton in his text The Golden Builders, the concept of an Angelic or antediluvian language was common during Dee's time. If one could speak the language of Angels, it was believed one could directly interact with them. In 1581, Dee mentioned in his personal journals that God had sent "good angels" to communicate directly with prophets. In 1582, Dee teamed up with the seer Edward Kelley, although Dee had used several other seers previously. With Kelley's help as a scryer, Dee set out to establish lasting contact with the angels. Their work resulted, among other things, in the reception of the Enochian or Angelical language. According to Dee's journals, Angelical was supposed to have been the language God used to create the world, and which was later used by Adam to speak with God and the angels, and to name all things in existence. After his Fall from Paradise, Adam lost the language and constructed a form of proto-Hebrew based upon his vague memory of Angelical. This proto-Hebrew, then, was the universal human language until the time of the Confusion of Tongues at the Tower of Babel. After this, all the various human languages were developed, including an even more modified Hebrew (which we know as "Biblical Hebrew"). From the time of Adam to the time of Dee and Kelley, Angelical was hidden from humans with the single exception of the patriarch Enoch who, according to the angels, recorded the "Book of Loagaeth" (Speech from God) for humanity. The book was then lost again in the Deluge of Noah. The reception of Enochian started on March 26, 1583, when Kelley reported visions in the crystal of the twenty-one lettered alphabet characteristic of the language. A few days later, Kelley started receiving what became the first corpus of texts in the purported Angelic language. This resulted in the book Liber Loagaeth ("Book [of] Speech from God"). The book consists of 49 great letter tables, or squares made of 49 by 49 letters (however, each table has a front and back side—making 98 49x49 tables in all). Dee and Kelley said the angels never translated the texts in this book. But you shall understand that these 19 Calls are the Calls, or entrances into the knowledge of the mystical Tables. Every Table containing one whole leaf, whereunto you need no other circumstances. While these texts contain most of the vocabulary, dozens of further words are found hidden throughout Dee's journals, and thousands of undefined words are contained in the Liber Loagaeth. The Enochian script is written from right to left, and may include diacritical marks. Different documents have slightly different forms of the script. Some of the letter names are pronounced as they would be in English, but many are pronounced differently. The Enochian letters have English letter equivalents. A number of different fonts for the Enochian alphabet are available, which use the English letter equivalents to access the Enochian glyphs. 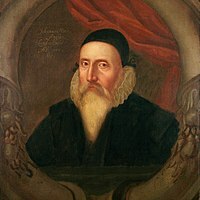 The Enochian letters are read from right to left, as written in John Dee's diary. The Australian linguist Donald Laycock has noted the discrepancy[clarification needed] between the two revealed sets of Enochian texts as an indication that Enochian is not a consistent language. According to Laycock, the texts in the Loagaeth material show phonetic features that do not generally appear in natural languages. Rather, the features shown are commonly found in instances of glossolalia ("speaking in tongues"), suggesting that Kelley actually produced at least this set of writings this way. According to Laycock's linguistic analysis, the syntax of the Enochian calls is almost identical with that of English. Also, the very scant evidence of Enochian verb conjugation seems quite reminiscent of English, more so than with Semitic languages as Hebrew or Arabic, which Dee claimed were debased versions of the original Angelic language. There are only two known verbs with conjugations, one of which, "to be," is highly irregular. While some phonetic features of Enochian show a connection to glossolalia, others show similarities to the English language. Both languages have soft and hard consonants such as c and g, and combine s and h to make the sh sound. As for the semantics of Enochian, additional similarities to English have been found. For example, luciftias, a term meaning brightness, may very possibly have a connection to Lucifer, whose name means "light bringer." Londoh, a word meaning kingdom, may have come from Dee's admiration for Elizabeth I. These and other examples have led sceptics to believe that many of these terms are derived from notions that would have been contemporary in Dee's and Kelley's time. The alphabet also shares many graphical similarities to a script- also attributed to the prophet Enoch- that appeared in the Voarchadumia Contra Alchimiam of Johannes Pantheus, a copy of which Dee is known to have owned. ^ "Language Subtag Registry". Internet Assigned Numbers Authority. Retrieved 13 August 2016. ^ "Language Subtag Registration Form for 'i-enochian'". Internet Assigned Numbers Authority. Retrieved 13 August 2016. ^ a b c Laycock, p. 43. ^ Churton, Tobias (2002). The Golden Builders. Signal Publishing. ISBN 0-9543309-0-0. ^ Deborah Harkness, John Dee's Conversations with Angels, 16-17. ^ Now in various collections of the British Library. See especially Sloane MSS 3188, 3189 and 3191, and Cotton Appendix XLVI. All the above are available in digital scans at: "Archived copy". Archived from the original on 2011-12-30. Retrieved 2012-01-05. CS1 maint: Archived copy as title (link). ^ This book is now in the British Library, MS Sloane 3189. ^ The angel Illemese, cited in Casaubon ed., A True and Faithful Relation…, p. 199. ^ a b "The Angelic or Enochian Alphabet". The Magickal Review. 2005. Archived from the original on 2011-07-12. ^ "Enochian Materials". The Magickal Review. Archived from the original on 2007-08-26. ^ Gerald J. Schueler, Betty Jane Schueler (2001). "Download fonts". Schueler's Online. ^ James A. Eshelman (2001). "Enochian Elemental Tablets". AumHa. ^ "Enochian Font". Esoteric Order of the Golden Dawn. 2007. Archived from the original on 2011-09-27. ^ John Dee (1582). "MS. Sloane 3188". The Magickal Review. p. 103v–104r. Archived from the original on 2012-04-10. ^ "Enochian alphabet and fonts". Omniglot. ^ Donald C Laycock; Edward Kelly; Dr John Dee (1 September 2001). The Complete Enochian Dictionary: A Dictionary of the Angelic Language As Revealed to Dr. John Dee and Edward Kelley. Weiser Books. pp. 46–47. ISBN 978-1-57863-254-1. ^ See Donald Laycock, "Enochian: Angelic language or mortal folly? ", 19–64 in The Complete Enochian Dictionary. ^ Laycock, "Enochian: Angelic language or mortal folly? ", p.33. ^ Egil Asprem (Dec 13, 2006). ""Enochian" language: A proof of the existence of angels?". Skepsis. ^ Johannes Pantheus (1550). "Voarchadumia Contra Alchimiam". p. 15v-16r. Archived from the original on 2016-03-08. DeSalvo, John (2011). Decoding the Enochian Secrets: God’s Most Holy Book to Mankind as Received by Dr. John Dee from Angelic Messengers. Rochester, VT: Destiny Books. ISBN 1594773645. DeSalvo, John (2010). The Lost Art of Enochian Magic: Angels, Invocations, and the Secrets Revealed to Dr. John Dee. Rochester, VT: Destiny Books. ISBN 1594773440. Eco, Umberto (1997). The Search for the Perfect Language. London: Fontana Press. ISBN 0006863787. Leitch, Aaron (2010). The Angelical Language, Volume I: The Complete History and Mythos of the Tongue of Angels. Woodbury, MN: Llewellyn Publications. ISBN 0738714909. Leitch, Aaron (2010). The Angelical Language, Volume II: An Encyclopedic Lexicon of the Tongue of Angels. Woodbury, MN: Llewellyn Publications. ISBN 0738714917. Laycock, Donald; DuQuette, Lon Milo, eds. (2001). The Complete Enochian Dictionary: A Dictionary of the Angelic Language As Revealed to Dr. John Dee and Edward Kelley. Boston: Weiser. ISBN 1578632544. Peterson, Joseph H., ed. (2003). John Dee's Five Books of Mystery: Original Sourcebook of Enochian Magic: From the Collected Works Known as Mysteriorum Libri Quinque. Boston: Weiser Books. ISBN 1578631785. Tyson, Donald (1997). Enochian Magic for Beginners: The Original System of Angel Magic. St. Paul, MN: Llewellyn Publications. ISBN 1567187471. Yates, Frances (1979). The Occult Philosophy in the Elizabethan Age. London: Routledge. ISBN 0415254094.